It was that time of the year when thousands of Taekwon-Do Athletes, Umpires and supporters descended to Reading for the UKITF British Championships. The event has gained serious recognition as the largest annual ITF Championships in Europe. Run by our professional events committee with state of the art computerised Draws and scoring systems it is second to none, worldwide! You could feel the excitement building weeks prior to the event, all the social networks were buzzing with the anticipation of what was to come. Competitors and Instructors alike, squeezing in last minute preparation in the hope of securing one of the elusive UKITF Championship medals. This year with a new Olympic Standard design, no off the shelf stock here fully customised designed for that one off feeling. If you are lucky enough to achieve this honour, rest assured you are top of your field. No other UK Group title can compare to that elite status of UK ITF Champion, period! Friday afternoon and the UK ITF regional support teams began to arrive at the leisure centre to set up for the weekends event. All six rings are set up to ITF specification (7mtr x 7mtr with 1mtr run off) making them 9 meters square. We feel that it is of great importance this is not compromised or reduced as it could detrimentally affect the competitor’s experience. Before we knew it the hall was ready, draw sheets were displayed for the competitors to view prior to entering. All competitor numbers and coach team sheets were ready for collection. Medal Engraving, T-shirt printing and photo booth all set. As I walked back the hotel the car park was beginning to fill up the usual vehicles. It’s amusing to see all the “TKD” number plates and try to put a name to the owner. Quick change and off to the Toby Inn for dinner and a catch up with some colleagues. SATURDAY, up early, Breakfast and a quick walk to the venue. 8am and I could see some early arrivals fitting in their last minute practise. 9:30 and all coaches and umpires were called to the centre. Following a brief meeting all coaches were issued with there team sheets and competitor numbers. Weigh-In was opened and umpires assigned to their rings after receiving a FREE T-shirt. Day 1 and we had 135 umpires register for assignment, a great sign as only with their support can the event run smoothly. Unique to UKITF we assign ring supervisors who’s sole job is to see that all the umpires and rings can operate at optimum efficiency and that breaks are provided on regular intervals. As we made our way through the divisions you could see the delight on the competitors face as they received their medals. Regardless of placement all competitors received a participation certificate with their name and division printed on the front. New this year was our 8 – 10 year "Kids Kicker" section. This joined the existing "Generation X" under 7’s and the "Cadet’s" 11-13 years. Also competing on the Saturday we the "Senior" Over 36 section, great to see age has no limitation and spectacular performances were shown throughout the day. We wrapped up the day with the Senior Power test and by 5pm the hall was emptying as everyone either made there way back home or to the local hotels. That evening Reading was alive with TKD, everywhere you went you would see the club tracksuits. Well except "TGI Fridays" as you couldn’t get in there as apparently the welsh team had reserved 70 places, Great foresight Leanne :-). Although towards the evenings end we all managed to meet up for a little socialisation. SUNDAY, back at the venue for 8:30 and it was time for the Juniors 14-17 years and the Adults 18+. Following the umpire registration and coach meeting we were straight into to tournament. At the offset all six rings were up and running with VI, V, IV, III, II, I degree patterns. With some Elite athletes on the stage you can see why TEAM UK have returned home with numerous World and European titles, along with best overall country for England. 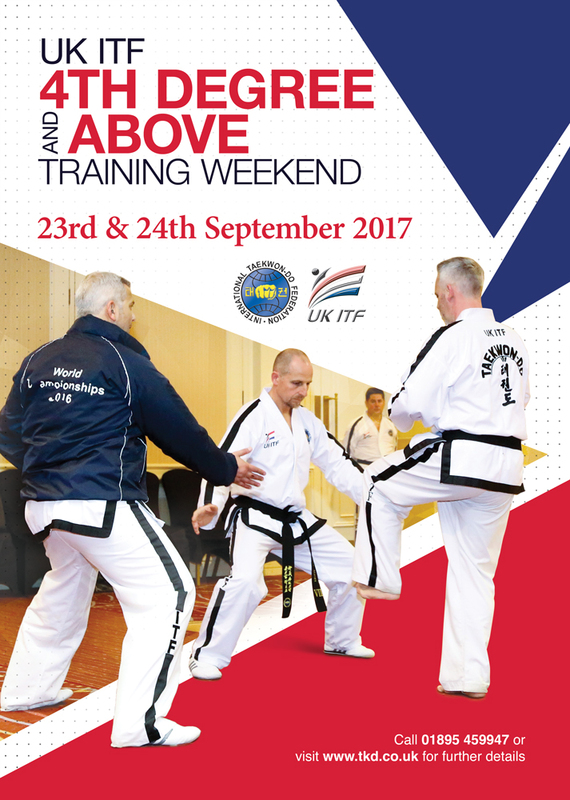 Following the Degree sections we moved onto the colour belt section like a well oiled machine, and once again Special Technique and Power concluded what was another successful event for UK ITF. I would personally like to thank all the Umpires and Ring Supervisors for helping run such a professional event, all the competitors for displaying such poise and performance in what I can truly state as a world class event. Our first Aid team of 12, who worked tirelessly to ensure our competitor’s safety. As always I will be compiling a report for our tournament committee on possible improvements to keep us a step ahead. Thank you and congratulations to all that attend, see you next year. A very well organised event. Well done!! Again, a brilliant and well organised weekend. Looking forward to next years already! A big Thank you to everyone involved in the organisation of a great event. Gassor's Taekwon-do Wales all had a brilliant time & already can't wait for next years event! A Brilliant weekend! Everyone from Gassor's Taekwon-do Wales had a great time. Many thanks to everyone involved. An amazing weekend, very well organised,Thanks to all!! Great weekend, thanks to all the organizers, officials & Participants.